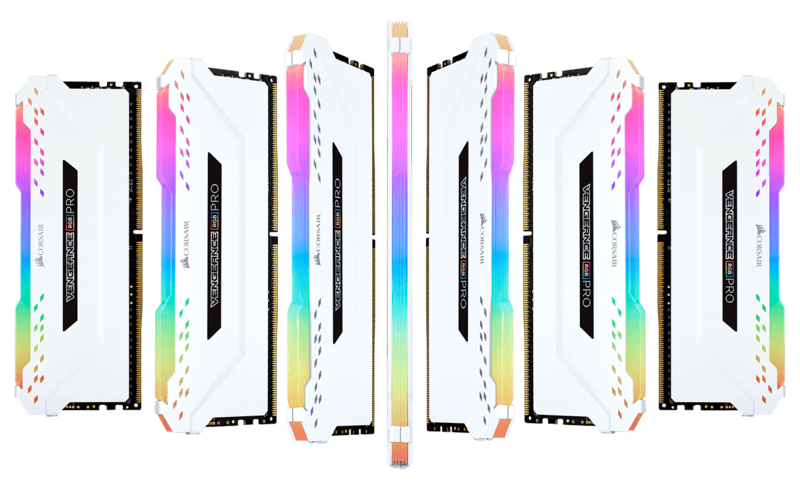 CORSAIR VENGEANCE RGB PRO Series DDR4 Light Enhancement Kit completes your custom PC’s look by filling your empty DDR4 slots, boasting 10 ultra-bright individually addressable RGB LEDs each. Light Enhancement Modules feature the same RGB lighting effects of your existing VENGEANCE RGB PRO memory modules with 10 ultra-bright, individually addressable RGB LEDs per module. Choose from dozens of pre-set lighting profiles, create your own, or experiment with millions of user adjustable patterns and colors. Works with most Intel and AMD DDR4 motherboards. *This Light Enhancement kit does not contain any DDR4 memory. A separately purchased Vengeance RGB PRO Memory Kit is required for your system to function. Constructed with the same aluminum heat spreader to match the look of your existing CORSAIR VENGEANCE RGB PRO memory modules.